Chat Channels: We have created a new voice chat group in our community Discord called "Live Stream" - under that are separate channels for each of our chapters. Guidelines: We have Streaming Guidelines available for those of you interested in getting started in the streaming world. Menu Links: Any active Pandamonium streamer can have a link to their channel added to the Multimedia > Live Stream menu at the top of this website. Reach out to Kaisa if interested. 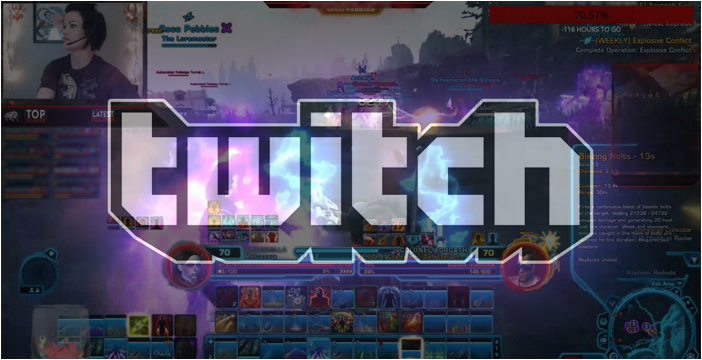 Individuals interested in live streaming in-game content that includes fellow guildies can only do so from within one of our dedicated live stream voice chat channels. For those choosing to participate in a streamed event, joining such a channel is your express permission for the event to be streamed (inclusive of Discord voice chat occurring within that channel). No other chat channels (e.g., General Chat, Private Groups, or Official Teams) can be used for live streaming. Planned guild events that will be live streamed must be advertised as such. This must include whether the event will be permanently saved on the Twitch website. We have posted Streaming Guidelines to assist those interested in getting started with streaming. "Privacy matters; privacy is what allows us to determine who we are and who we want to be." Streaming is a wonderful recruitment tool. It's a great way to promote both our members as well as the community as a whole. Our intention is to give a clear path for those interested in streaming so no toes get inadvertently stepped on, while respecting the wishes of those guildies who are not interested in participating but might feel awkward saying no in a group setting.